On average, more than 1,000 lives are lost annually to speeding Commercial Motor Vehicles (CMVs). 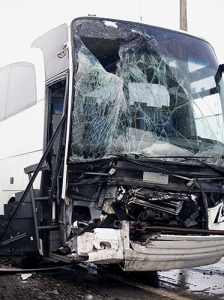 According to National Highway Traffic Safety Administration (NHTSA), studies examining the relationship between travel speed and crash severity have confirmed the common-sense conclusion that the severity of a crash increases with increased travel speed. Additionally, higher speeds extend the distance necessary to stop a vehicle and reduce the ability of the vehicle, restraint device, and roadway hardware such as guardrails or barriers to protect vehicle occupants in the event of a crash. NHTSA is proposing to require multipurpose passenger vehicles, trucks, buses and school buses, to be equipped with a speed limiting device. As manufactured and sold, each of these vehicles would be required by NHTSA to have its device set to a speed not greater than a specified speed. This is exactly the type of easy and useful regulation that must be enacted to protect the lives of all drivers and passengers.